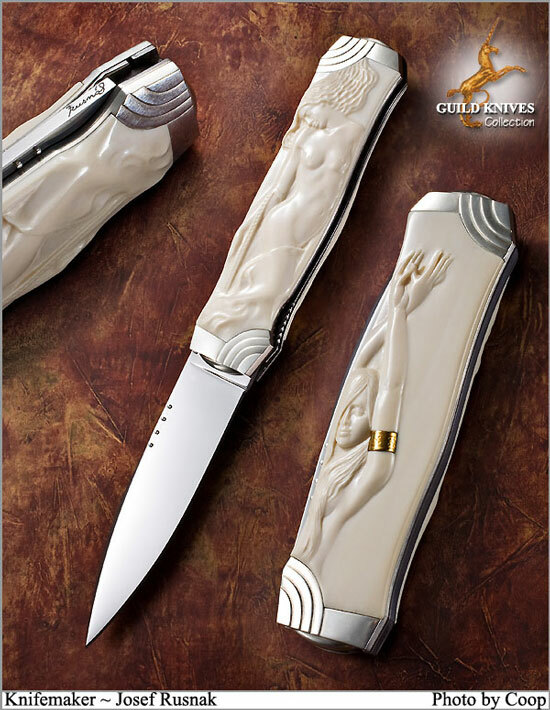 Carved into the pristine interior white Mastodon Ivory is the image of a curvy 1927 French damsel that graced a Lalique perfume bottle of that era. Sterling silver bolsters in the Deco style finish off this knockout of a knife. Gold pin openers on the blade. Rusnak makes about 10 knives a year. His sculpting ability is absolutely superb, as you can see here.